The Royal Enfield Classic 350 and 500 are set to get a major update. 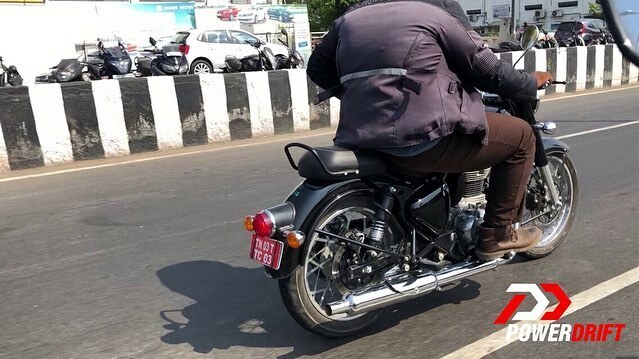 New spy pics show that the bike is equipped with front and rear disc brakes on the right-hand side, instead of on the left like the current model. This change has resulted in the chain shifting over to the left from the right. 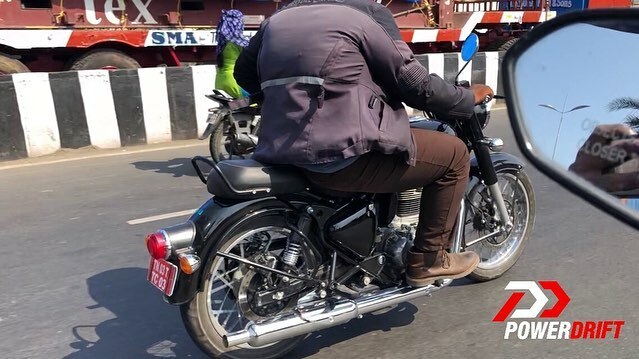 It also has a more compact exhaust system, which could mean one of two things – Royal Enfield is either downsizing its gigantic exhaust to make the motorcycle more visually appealing or this could be the all-new BS-VI model that is running a reworked engine and exhaust setup. Royal Enfield also appears to have replaced the gas-charged twin shock absorbers for more classic-looking units.